Notable members of the All Progressives Congress, APC, in Enugu East Senatorial zone have vowed to stage an upset against former governor, Chimaroke Nnamani, the Peoples Democratic, Party, PDPâ€™s candidate for the election. DAILY POST reports that both ex-president of the Senate, Chief Ken Nnamani and former governor of old Anambra State, Dr. Jim Nwobodo, have vowed to resist any attempt by the PDP to impose Nnamani on the people by proxy. Senator Nnamani said the action of the PDP was a clear violation of the electoral act and the nationâ€™s constitution. 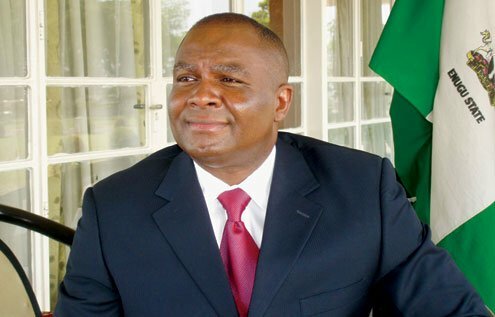 Nnamani wondered how someone who is in America could be declared winner of an election he did not participate in, adding that â€œChimaroke Nnamani did not swear affidavit because such sensitive document cannot be sworn to by proxy, yet some people went behind to declare him winner of the PDP primary. â€œI know that there is no law in our land authorising someone to swear affidavit for another person. I am saying this because those who perpetrated this fraud may be matching to the prison. â€œThis action shows that the PDP impunity is still rearing its ugly head in Enugu East senatorial zone. Our political process in the country as well as the zone is on trial. We are going to resist this undemocratic act, because I am an interested party in the matter. â€œWe cannot have a senator by proxyâ€, he added, warning that the situation, if not properly handled, â€œis capable of igniting political crisis in the senatorial district. â€œIâ€™m yet to know why PDP chose to commit such high level of impunity in my own senatorial district. Nwobodo, and Nnamani boasted that he (Prince Eze), is likely to be the only candidate for Enugu East senatorial election and pleaded to be joined in the suit to seek ex-governor Chimaroke Nnamaniâ€™s disqualification from the contest.